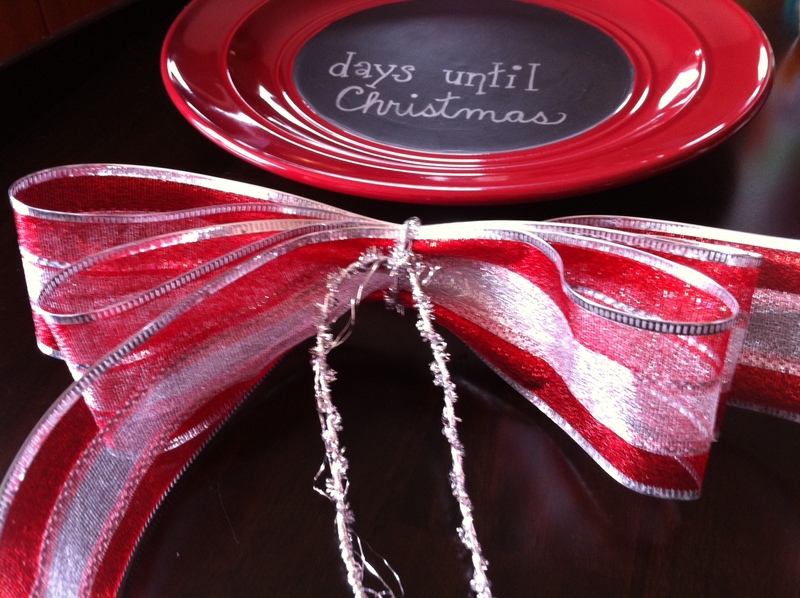 Christmas Giveaway… Don’t miss out! 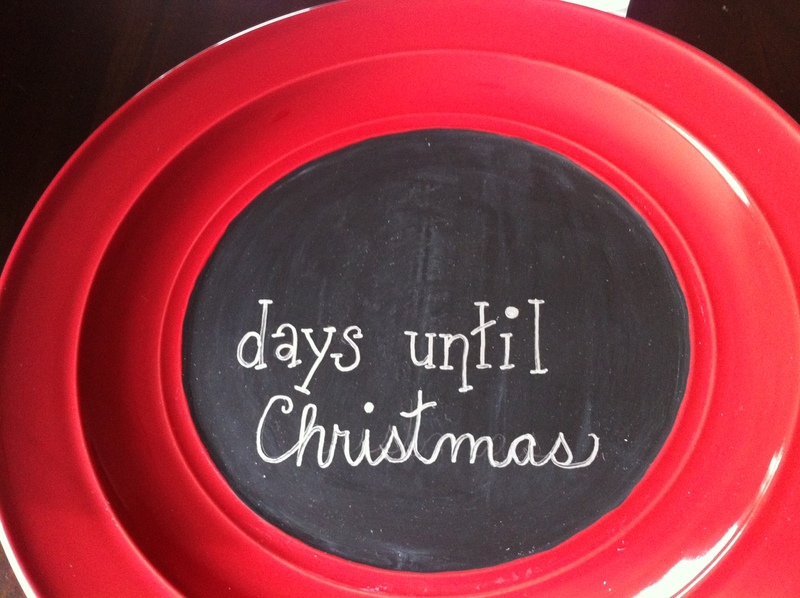 I’m so excited to do kick off the Christmas season with a giveaway! 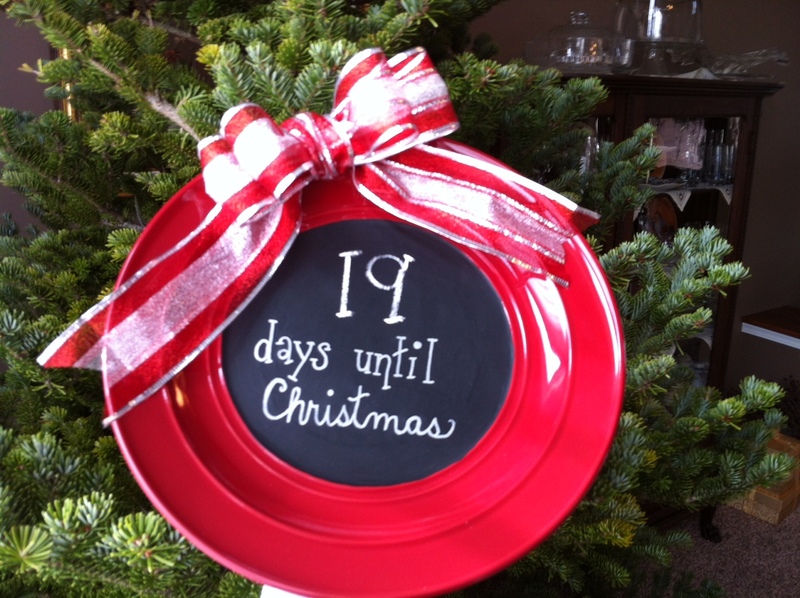 We decided to pick out a Christmas Pintrest idea and make it. Then, give it away. 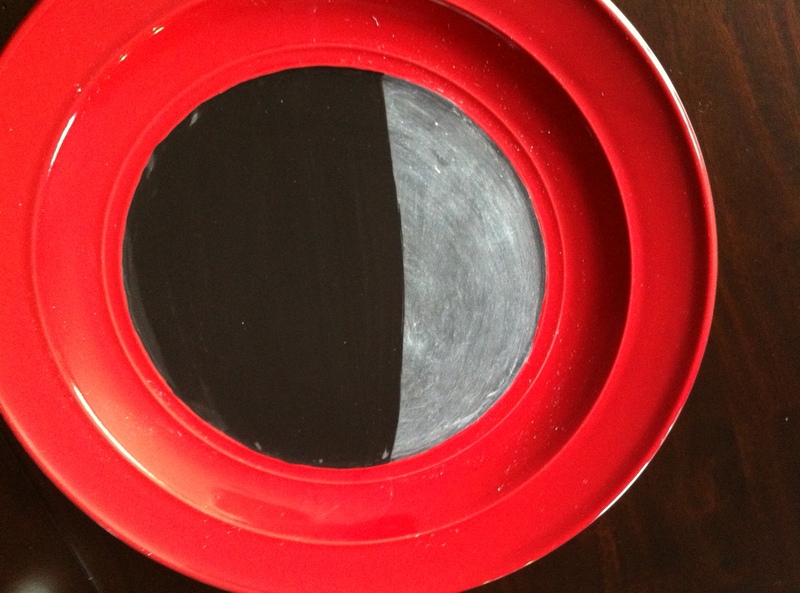 The best part is that if you don’t win the giveaway, you could make it yourself! 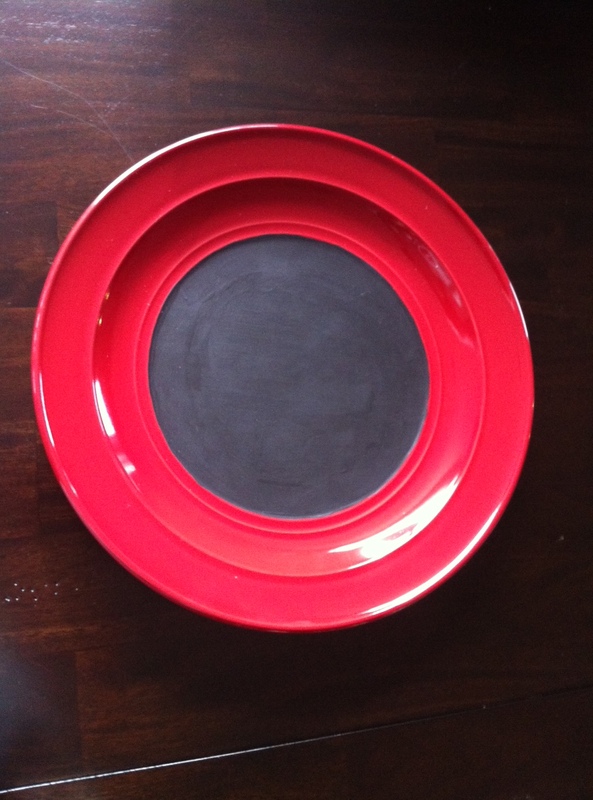 I painted chalkboard paint ($3.99 at Hobby Lobby) in the center of a plate ($2 at Dollar General) in one direction. Let it dry for 1 hour. 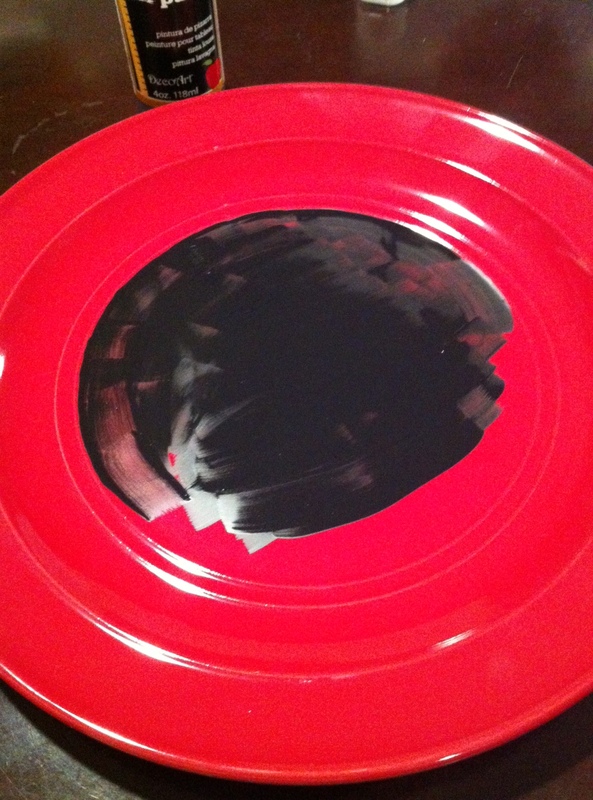 I painted a second coat in opposite direction. Take chalk and lightly coat the new paint. 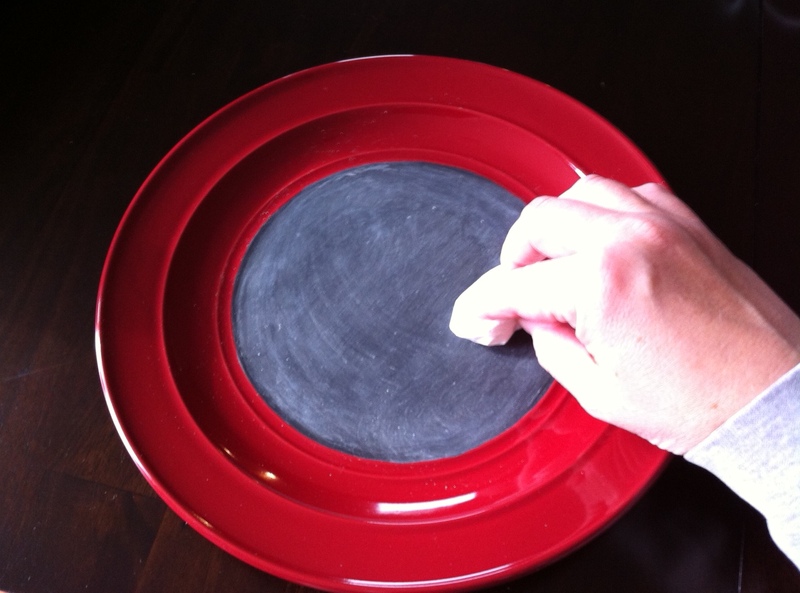 Rub in the chalk with a napkin. 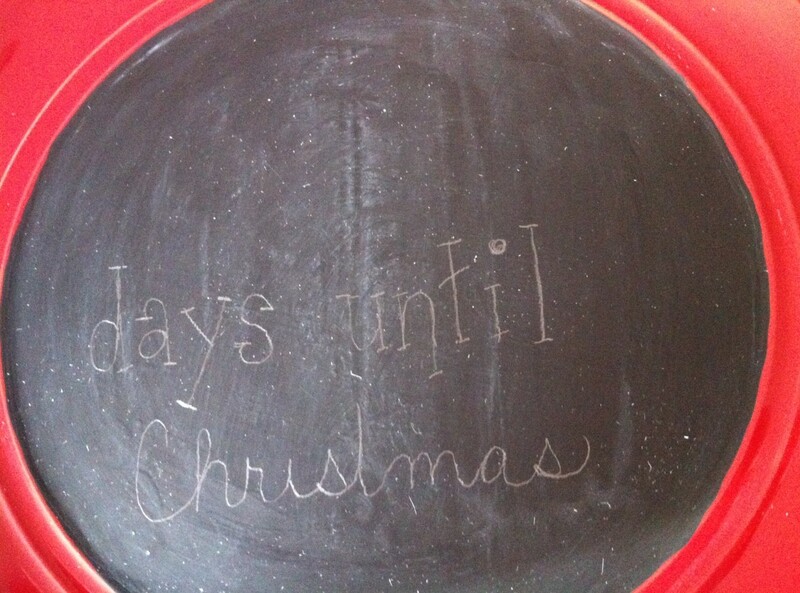 Wipe off chalk with a damp napkin. 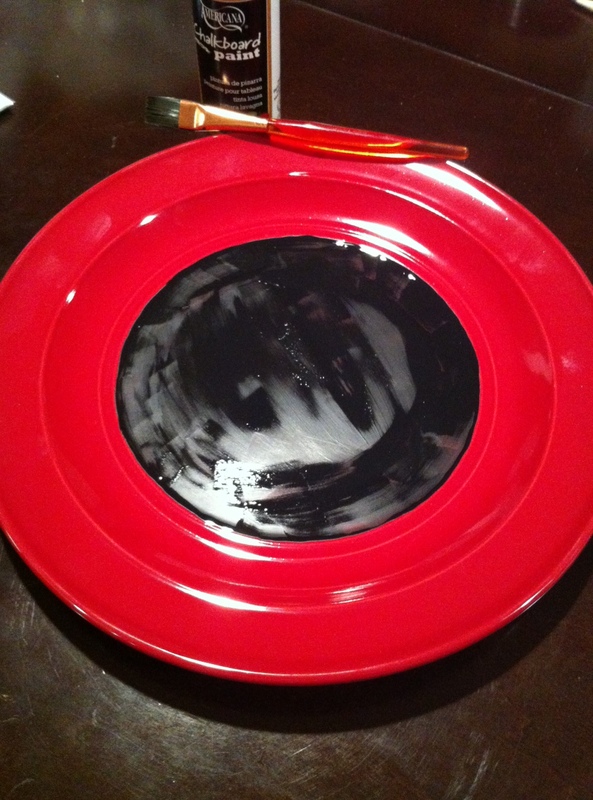 Then with a pencil write the words you want on the plate. Then erase any pencil marks and wipe down again with a damp napkin. 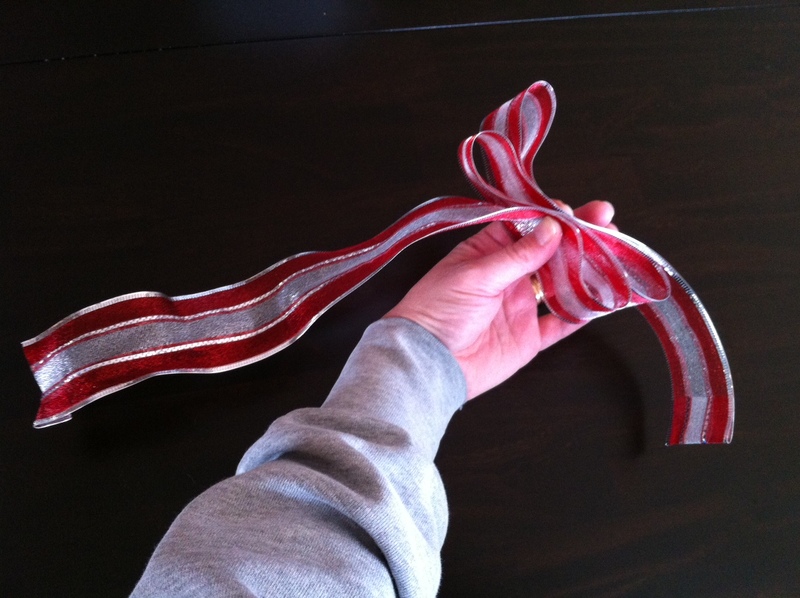 To make the bow I just looped ribbon 4 times, 2 on each side, leaving one end longer. 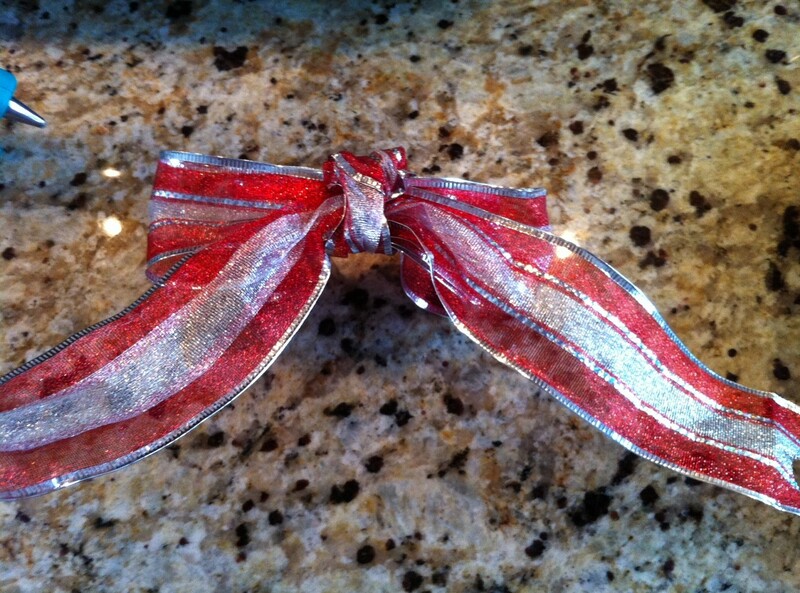 I then tied with silver ribbon I had; you can also use wire. 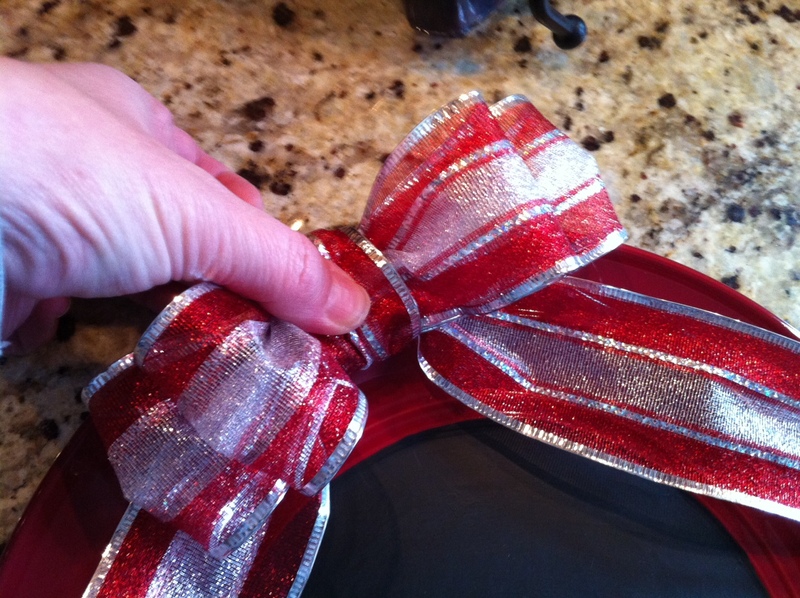 Then wrap around the longer end and tuck it in the tied ribbon/wire. Walla you have a beautiful bow. 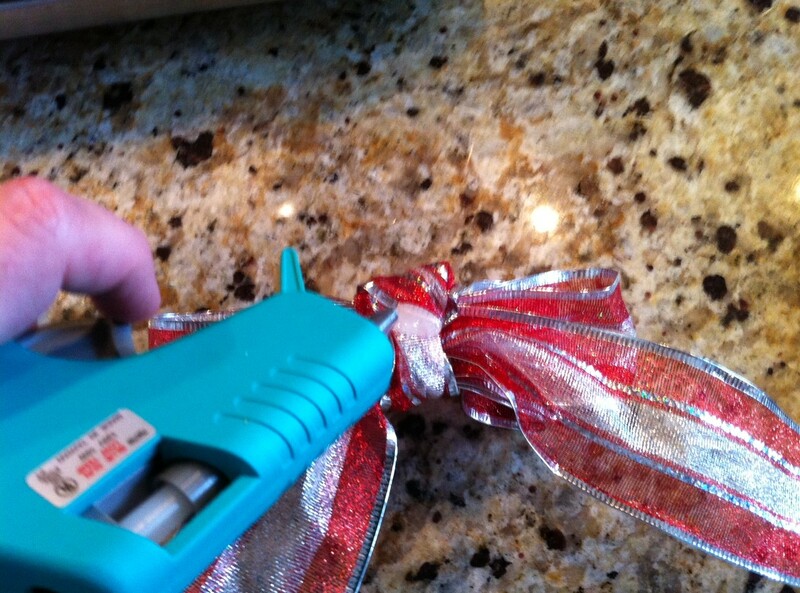 Put hot glue on the back of the bow. 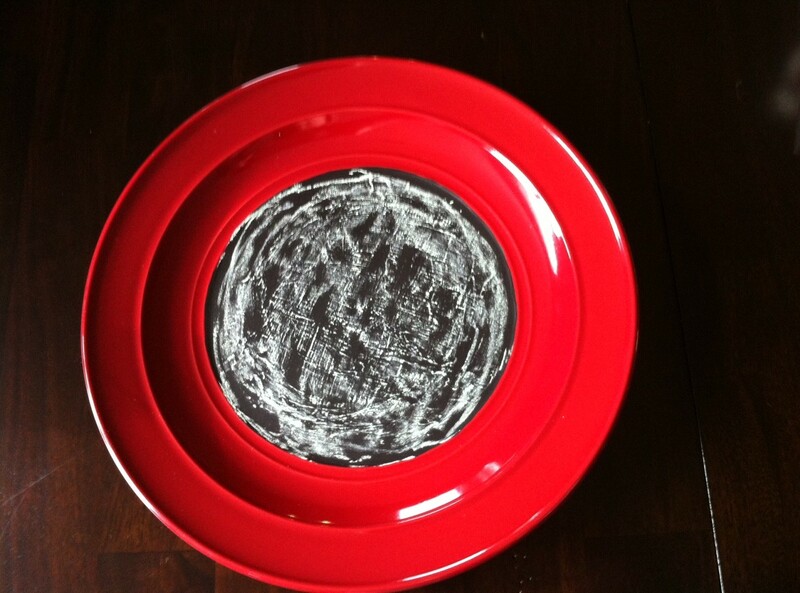 Press and hold the bow on the side of the plate. There you have it! Let me just say, I’m sort-of sad that I didn’t make more of these when I was making this one! I think they would make great teacher, neighbor, host or coworker gifts! 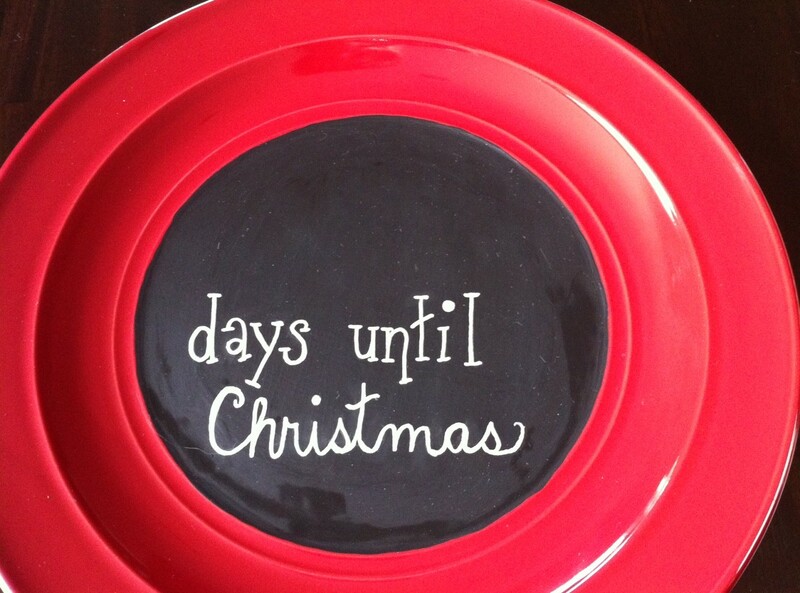 Let us know in the comments below, if you would keep the Advent Plate or who you would bless with it. Winner will be announced on Thursday! Good Luck!